On hand to promote her Freeform hit tv series 'Siren', Eline Powell made an appearance at the 2018 San Diego Comic-con yesterday(July 19th) in San Diego, CA. 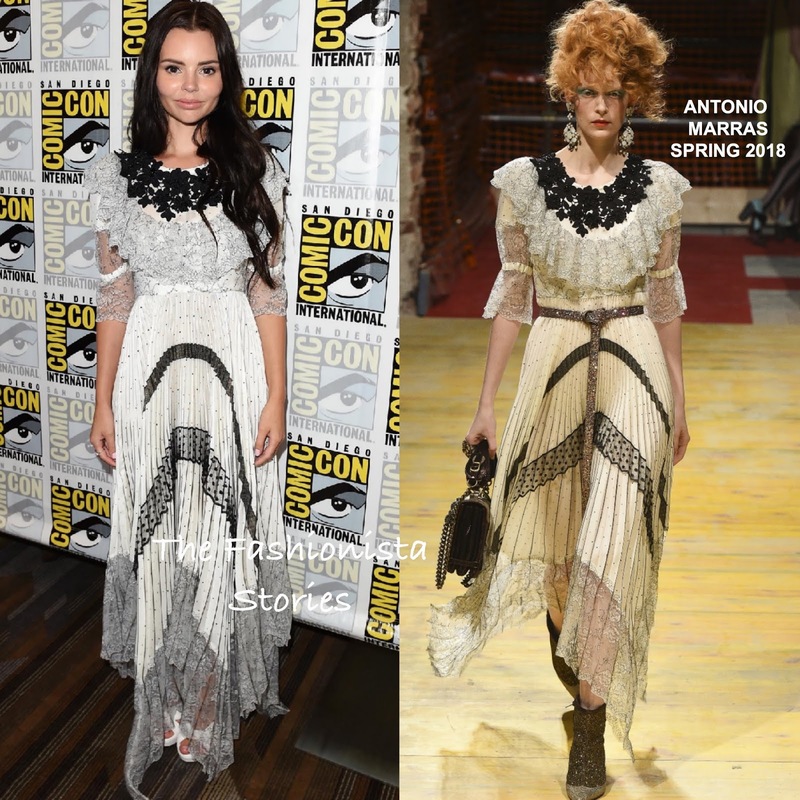 For the occasion, she turned to ANTONIO MARRAS, wearing the designers SPRING 2018 white & black ruffle lace embroidered dress with a pleated, dotted skirt and handkerchief inspired hem. On the runway, Eline's playful, romantic dress was shown with a belt which she ditched and did not need. My only quibble here is that I wish her hair was completely off-the-shoulder, although the dress is a tad on the fussy side.